Is it Still a Good Time to Buy Gold? Gold hits another all time record high today as it last traded at $1,277 an ounce. It’s hard to imagine that in 1970 the price of gold was only $35 an ounce! (Yes, that’s thirty five dollars an ounce). When gold makes big jumps, so do the prices of many modern gold bullion related coins. For example, Gold eagles trade very close to spot prices, just like Gold Buffalos, many Gold Commemoratives and even most Gold Spouse coins. 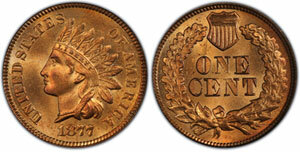 The U.S. Mint first began striking Bullion Gold eagles back in 1986, when Gold was at about $340 an ounce. Every year since then, the Mint has offered some form of bullion gold related coins to collectors close to the price of gold. Most collectors, who purchased coins directly from the U.S. Mint or at a close percentage close to the spot price of gold, have done tremendously well with their coins. I sure wish I would have purchased Gold eagles back in 1986, but unfortunately, I was only 7 years old at the time. So it makes me wonder, with the price of Gold being at an all time high, is it still a good time to Buy Gold? Last year, the Mint had a difficult time keeping up with the demand for bullion related coins. As a result, it did not strike any 2009 Proof Gold Eagles as well as several other silver, gold and platinum bullion related products. For several months, the production of 2010 Proof Gold Eagles had also been in doubt. However, to everyone’s surprise earlier this week, the Mint indicated that 2010 Proof Gold Eagles are already being struck in the four different denominations of $5, $10, $25 and $50. The coins should all be available sometime in the middle of October. We will soon find out if collector interest will be high for the 2010 Proof Gold Eagles or if the cancelation of last years’ coins deterred many from collecting this series. In the next several weeks, we shall find out.